Love writing contests? So do we. 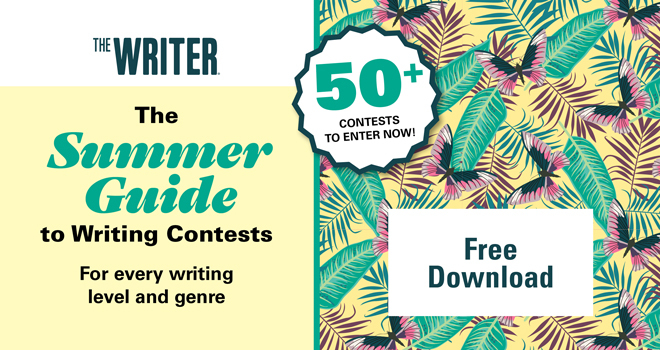 That’s why we’ve created your ultimate guide to writing contests this summer. Inside, you’ll find dozens of contests for every genre, all with deadlines in spring and summer 2018. Prizes range from $25 to $15,000, and while most require entry fees, others are free to enter. Don’t wait – download our guide today!